The Fall 2014 issue of n+1 magazine includes a review essay by Jamie Martin discussing The End of Protest and The Logic of Discipline. 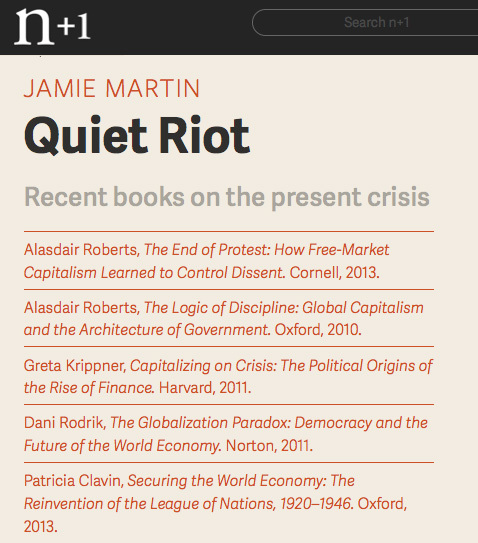 “The 2008 crash and its aftermath have amounted, as the legal scholar Alasdair Roberts argues in The End of Protest, to little more than a ‘quiet crisis. '” Read the review.